This book length project, which has broadened in its scope since its inception in 2016, now explores initiatives undertaken in Paris, Berlin and Vienna to address the severe housing crisis faced by these capital cities from the late nineteenth century to the interwar period. It focuses more specifically on the projects undertaken by young architects to build affordable and environmentally sustainable housing and the way in which these efforts contributed to the development of architectural modernism in this period. The first article that has emerged from this research was published as The Paris Housing Crisis and a Social Revolution in Domestic Architecture on the Eve of the First World War in The Journal of Modern History*. It centers on the work of the modernist architects Henri Sauvage and Pierre Provensal, among others. 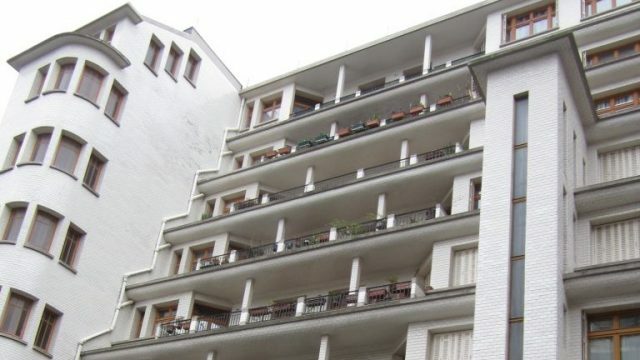 A second article has been completed on two of the only female architects associated with the development of social housing in Weimar Germany and France in the interwar period. It explores their unique contributions as women in designing new kinds of domestic space. It is entitled ‘The New Dwelling’ Social Activism and Architectural Innovation in the Domestic Designs of Margarete Schütte-Lihotzky and Juliette Tréant-Mathé in Interwar Paris, Vienna and Frankfurt. Professor Ford hopes to continue to explore how urban planners and architects addressed the perennial problem of housing shortages, which contributed on innovative new departures in the realm of domestic architecture and a legacy of striking architectural achievements, some of which have been designated as heritage sites. *The Paris Housing Crisis and a Social Revolution in Domestic Architecture on the Eve of the First World War available in The Journal of Modern History (Sept. 2018): 580-620.